Yesterday, my latest issue of FastCompany magazine arrived in the mail, complete with Lebron James on the cover. 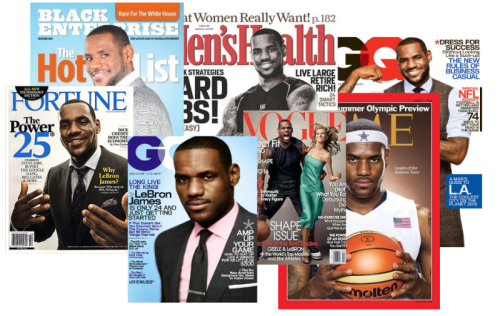 It struck me that Lebron is one of the few athletes that not only appears on sports magazines but regularly appears on non-sports related publications as well, something that rarely happens to even elite athletes. While I could delve into how Lebron makes money for the publishers by making their covers more appealing, I think the net result of Lebron’s ubiquitous image and it’s misleading ramifications is a far more important piece of business. While it would be interesting to delve into the exact reason that Lebron James, despite being now reviled by many basketball fans and not yet having actually won a title, is still worth a fortune because of the revenue he generates, that isn’t what strikes me the most. 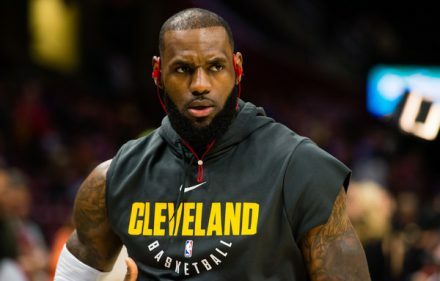 We have had, for some time, a ‘lottery’ mentality in American culture, and the images of Lebron James proliferating across business magazines such as Black Enterprise and Fortune only serves to extend that idea. This idea that has permeated our culture for several decades is that if we can just get that “big break”…i.e., get drafted into the NBA, or get signed by a record label, we’ll be suddenly rich forever. The reality is that real wealth is built over time, and that for every Michael Jordan, there are thousands…literally, thousands…of players who got massive paychecks playing basketball and now have almost nothing. They hit the lottery, and now they’re broke. The same goes for musicians. Some, like former Virginia Cavalier and NBA player Cory Alexander, didn’t blow their money and tried to invest with established banks, only to wind up with nothing. Business is hard. Don’t be fooled. Very few people can do it, and even CEOs of established companies have learned the hard way that striking out on your own can be brutal when you don’t have a company paycheck to act as a cushion. NBA players are employees just like most Americans; there are employees of large corporations that make far more than any NBA player, so salary is not a determinant of business acumen. This is why the image of James being used on business magazines can be troubling. Until James retires, and has several years of not drawing an NBA paycheck, he hasn’t been running a business or been a captain of industry. He’s just another guy, collecting a paycheck. There are a couple of former players who have proven that they were able to take their ‘lottery’ winnings, meaning their NBA paycheck seed money, and turn it into real, long lasting wealth. Michael Jordan and Magic Johnson have grown their money for years and don’t appear to be in any financial trouble. Those two are far more accurate representations of business, and they should be lauded for what they did after they stopped playing professional basketball on those money magazines. In fact, Magic Johnson not only built wealth, but his career was cut short, and he still managed to end up a rich businessman. American media is rife with the wrong examples of success. Putting Lebron James on the cover of Vogue is fine, and putting Lebron, or Carmelo Anthony or any other NBA player on the cover of a business magazine like Fast Company or Forbes is incredibly misleading. It sends the message that these players are successful, when in reality, the track record of players after they stop getting a paycheck is abysmal. This isn’t to say James, or any other current NBA player, won’t be successful after they leave the NBA behind. But using these players as the current examples of success is teaching Americans, young and old, the wrong way to get rich. Great post, excellent points. I don’t think many people ever look at it like that. You hit the nail on the head with the way athletes are portrayed as great business people, when it is really their sports paycheck that has them rich.